You will love this bright 2 bedroom 2 bath top floor corner unit with two screened lanais, one overlooking green space and one overlooking the pool. Beach View is a small two buildings complex with only four units each. The location is perfect in the middle of the Island, very close to everything: beach, Publix, restaurants, exit of the Island! The free trolley stops just steps away at Manatee Avenue. Pool is located between the two buildings. This unit is on the quiet West corner and on top floor. A two car tandem parking gives enough space for your vehicles, in the spacious storage behind the parking you may put in all your beach gear or bikes. 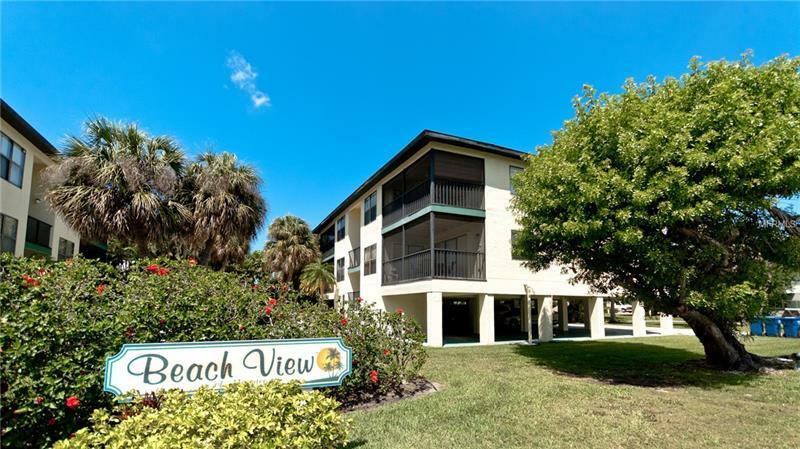 Beach View is one of the rare complex where short term rentals are allowed. This condo is ready as of day 1 as it is sold fully furnished with no personal items to exclude.